Terms & Conditions: Calls cost 80p per minute plus your phone company’s access charge. 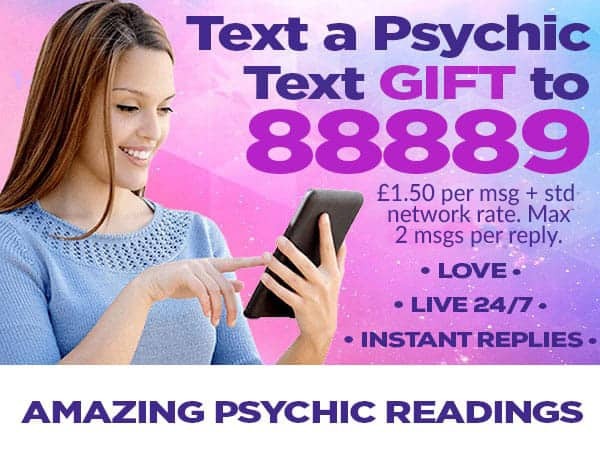 Text a psychic readings cost: 88889 = £1.50 per text. Complicated answers may require 2 texts. You must be 18 or over, be the bill payer or have the bill payers’ permission to use this guidance & entertainment service. To comply with PhonepayPlus regulations, Approved Psychics do not answer questions relating to health or pregnancy. All calls recorded. Text a psychic service provided by Premedium. Customer service number ‭0161 956 3504‬. Email info@approvedpsychics.com PhonepayPlus registration number ORG823-71380-23718. We may send free promotional messages. To opt out of free promotional messages text STOP to 88889. All of the online Approved Psychics Tarot phone readers have a natural gift of Tarot Card Reading. Some use spirit guides and some use tarot cards plus other well known abilities to help guide you regarding Love, Relationship and Career. You can read more about each gifted reader by clicking on their image above or by visiting the Our Readers page. We are a small family business and therefore need to keep our costs down, so that we can give you the best possible service. In order to help us do this, please bookmark this site on your web browser (Internet Explorer / Firefox / Chrome etc) or search Approved Psychics so that we can avoid paying the high Google advertising costs. Approved Psychics readings are available! Calls cost 80p per minute plus your phone company’s access charge. See below for full terms & conditions. Lines are open 24 hours a day and you can choose your reader from the Live Reader Panel above, listen to who is online when you call any of the numbers above or read about them on Our Readers page. Will I get together with …. ? How can I get them back? Are we suited for each other? When will I meet a new partner? Will I get a new job soon? Will my family ever understand? Approved Psychics readers are friendly, experienced and sensitive to your needs. Why use the Approved Psychics phone services? Terms & Conditions: Calls cost 80p per minute plus your phone company’s access charge. 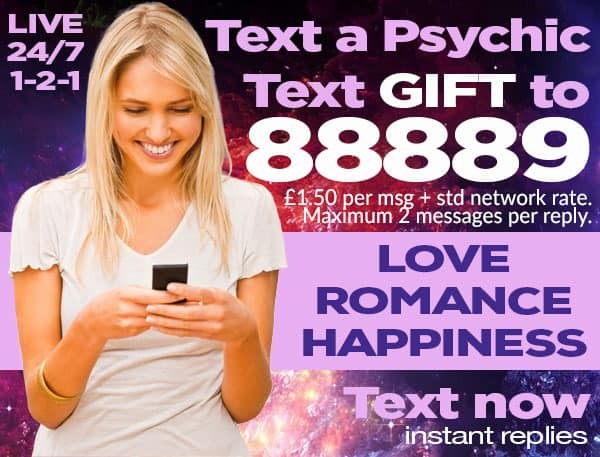 Text a psychic readings cost: 88889 = £1.50 per text. Complicated answers may require 2 texts. You must be 18 or over, be the bill payer or have the bill payers’ permission to use this guidance & entertainment service. To comply with PhonepayPlus regulations, Approved Psychics do not answer questions relating to health or pregnancy. All calls recorded. Text a psychic service provided by Premedium. Customer service number ‭0161 956 3504‬ Email info@approvedpsychics.com PhonepayPlus registration number ORG823-71380-23718. We may send free promotional messages. To opt out of free promotional messages text STOP to 88889.